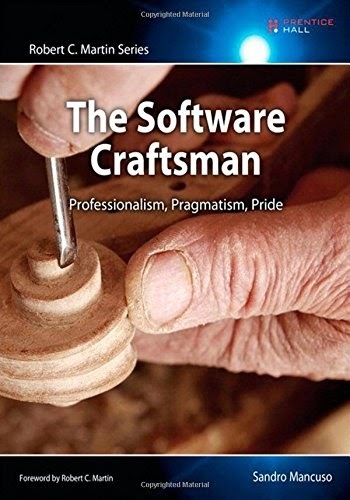 I've just finished reading The Software Craftsman: Professionalism, Pragmatism, Pride by Sandro Mancuso, and I must say that it resonated with me. Treating software development as a craft, and striving for mastery is something that I admire. This book reflects my attitude towards building software, and is now one of my favourite development books (The Pragmatic Programmer being my all time favourite). The only thing I don't really agree with is the emphasis on XP practices, notably TDD. I think professional developers should know about TDD and have practiced it, but I don't think it's a requirement to being a software craftsman. The debate between Jim Coplien and Uncle Bob on TDD is good food for thought. Overview I've seen Brendan Gregg's talk on generating mixed-mode flame graphs and I wanted to reproduce those flamegraphs for myself. Setting up the tools is a little bit of work, so I wanted to capture those steps. Check out the Java in Flames post on the Netflix blog for more information. I've created github repo (github.com/jerometerry/perf) that contains the scripts used to get this going, including a Vagrantfile, and JMeter Test Plan. Here's a flame graph I generated while applying load (via JMeter) to the basic arithmetic Tomcat sample application. All the green stacks are Java code, red stacks are kernel code, and yellow stacks are C++ code. The big green pile on the right is all the Tomcat Java code that's being run. Tools Here's the technologies I used (I'm writing this on a Mac). Introduction In this post I'll give a quick way to get some basic web performance metrics using both JMeter and Gatling. JMeter is a well known, open source, Java based tool for performance testing. It has a lot of features, and can be a little confusing at first. Scripts (aka Test Plans), are XML documents, edited using the JMeter GUI. There are lots of options, supports a wide variety of protocols, and produces some OK looking graphs and reports. Gatling is a lesser known tool, but I really like it. It's a Scala based tool, with scripts written in a nice DSL. While the scripts require some basic Scala, they are fairly easy to understand and modify. The output is a nice looking, interactive, HTML page. Metrics Below are the basic metrics gathered by both JMeter and Gatling. If you are just starting performance testing, these might be a good starting point. Recently I needed to reproduce an Entity Framework deadlock issue. The test needed to run in NUnit, and involved firing off two separate threads. The trouble is that in NUnit, exceptions in threads terminate the parent thread without failing the test. For example, here's a test that starts two threads: the first thread simply logs to the console, while the other thread turfs an exception. What I expected was that this test should fail. However, the test actually passes.